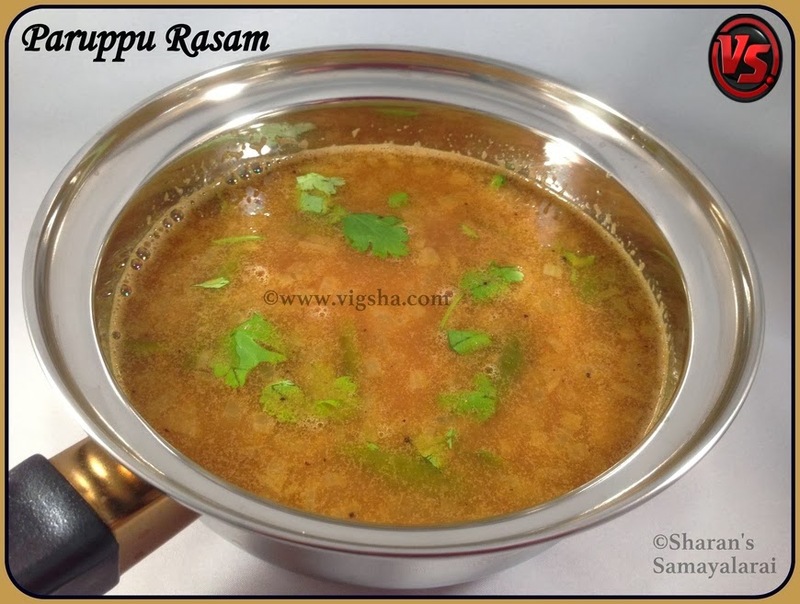 Paruppu rasam is tangy & flavorful. It is paired with sambar and spicy stirfry(poriyal). 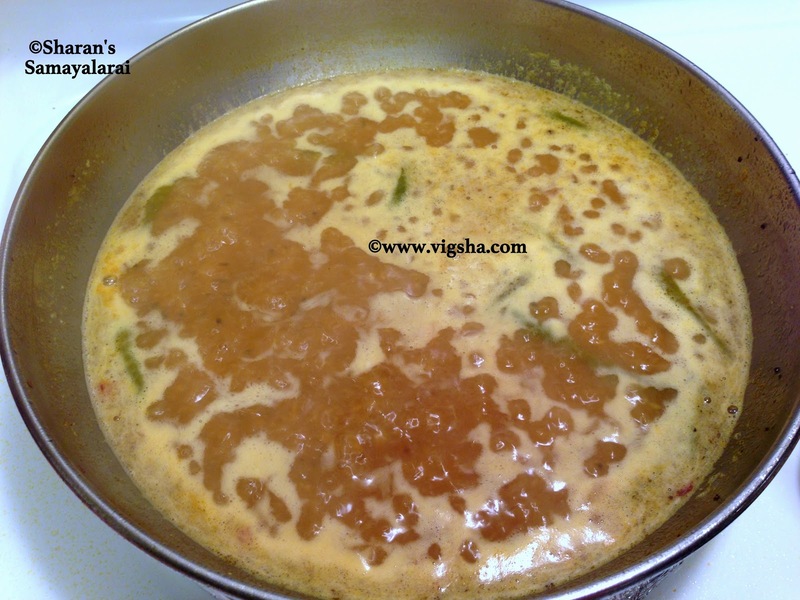 Sambar, rasam, poriyal and curd along with appalam makes a wonderful south-indian spread. 1). Wash toor-dal and pressure cook it with 1/2 cup water and a pinch of turmeric powder until mushy. Once cooked, mash the dal along with the cooked water. Soak tamarind in 1/2 cup of hot water and extract tamarind juice, keep aside. 2). 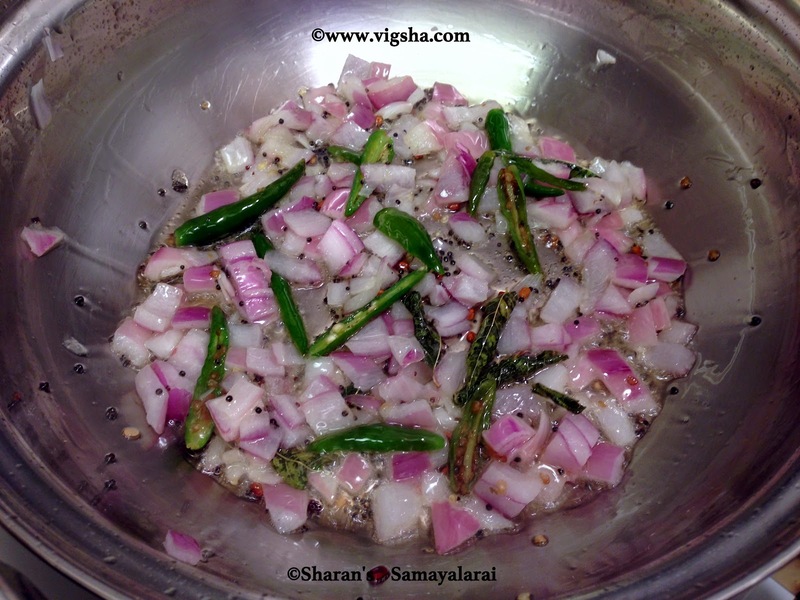 Heat oil in a pan, add mustard seeds, curry leaves, hing and let it splutter. 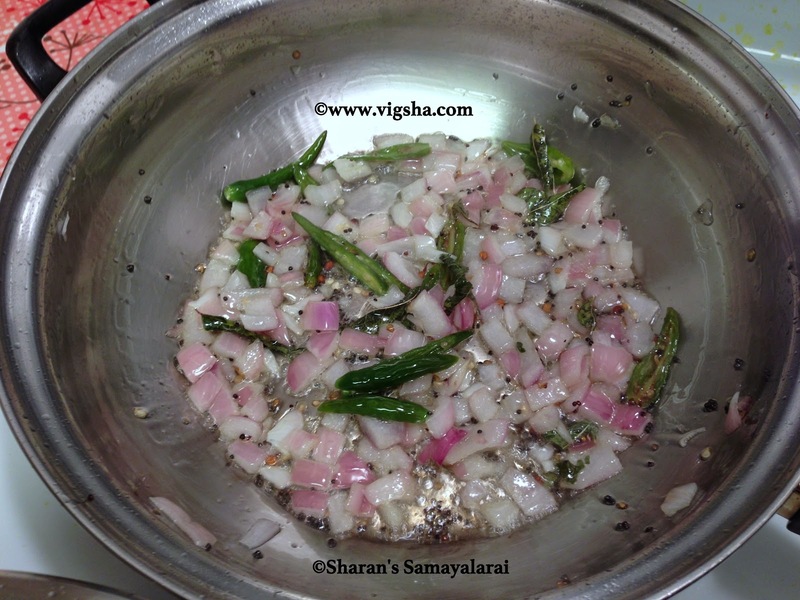 Then add the chopped onions, green chillies and crushed garlic. Saute till onions turn translucent. 3). Add tamarind extract with little water. Then add rasam powder and salt, allow it to boil till its frothy. 4). Finally add the mashed dal with boiled water and finally add grated coconut. Allow it for another boil and switch off ! Garnish with coriander leaves ! # Make sure to switch after single boil after adding dal. Do not over boil the rasam, it gives bitter taste.